This is my gorgeous friend Megan and her so-cute-you-could-eat-him son, Brady. Megan married an amazing Marine, Brett, and moved far away from me a few years ago. However, Facebook is a great tool for keeping in touch with people and we've tried to keep in touch through pictures and posts. Last week, I saw that she posted a whole album of amazing professional photos of her beautiful family and I immediately emailed both her and her photographer to see if I could do a feature. Erin Dietrich is the talented woman behind Erin Dietrich Photography, and is responsible for these amazing images. My name is Erin. First & foremost, I'm a wife to the most amazing man & a new mommy to the sweetest little lady, Brynn who was born this past August! Photography has been my true passion for as long as I can remember! I remember growing up people would call me a "Paparazzi" because I always had my camera with me and I was always taking pictures! I really "let loose" about two years ago when my husband bought me a Canon Rebel XSI. Shortly after getting that camera as a birthday gift, I changed my major in college to Photography & realized this was my calling. Soon after that I got a job as a "Photographer Assistant" with an extremely well known Photographer here in Orange County, CA. She "took me under her wing", never doubted me and for that I can't thank her enough. Thank You Sheri, I wouldn't be where I am today without all your guidance & patience. After every photo shoot I do, I catch myself saying "that was my favorite shoot!" I'm a total people person and just love producing beautiful high quality images for people. Each day I'm learning more & more that life goes by too fast, so it's important to capture every moment you can with photographs - "Because I don't want to miss a thing"! If you're interested in booking Erin for a shoot, you can reach her here. What an adorable family. Lovin't the argyle vest! Focus On... Mamitosami And A Giveaway! Cart-Worthy + Heart-Worthy: Under $10 Edition! Cart-Worthy + Heart-Worthy: Cufflinks Edition! Look At All This Loot! I Know It's Wednesday, But...Weekend Update! Focus On...HaydenJ And A Giveaway! A Quick Update & Great Shirts! 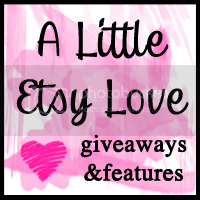 Focus On...Storeyshop And A Giveaway! Meet My Leopard Belly Mew! Focus On...Roll & Tumble Press And A Giveaway! Focus On... Wusketeer And A Giveaway!